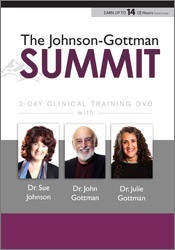 Susan Johnson, Ed.D., is the best selling author, clinical psychologist, distinguished research professor, dynamic speaker, and recognized innovator who has changed the field of couple therapy. 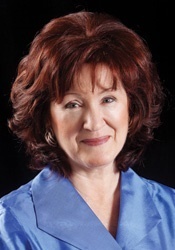 She is director of the International Center for Excellence in Emotionally Focused Therapy and distinguished research professor at Alliant University in San Diego, California, as well as professor of clinical psychology at the University of Ottawa, Canada. 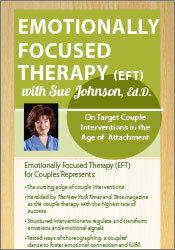 She trains counselors in EFT worldwide and is recognized as one of the most prominent researchers and presenters in the couple therapy field. Financial: Susan Johnson receives compensation as a tenured professor for the University of Ottawa. 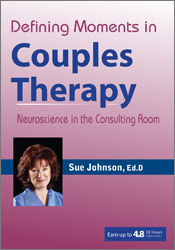 She receives royalties as an author for Little Brown, ICEEFT, Brunner Routledge, and Guilford Press. Dr. Johnson receives a speaking honorarium from PESI, Inc. Non-financial: Susan Johnson has no relevant non-financial relationship to disclose. 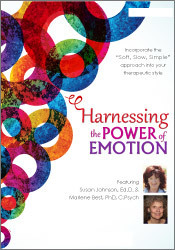 Psychotherapy Networker Symposium: Harnessing the Power of Emotion: A Step-by-Step Approach with Susan Johnson, Ed.D.